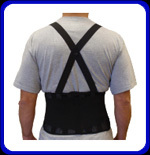 Industrial Back Support – Pacific Medical, Inc. Essential for lifting, carrying and for repetitive work conditions. 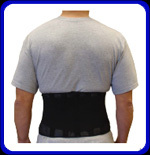 Provides lower back support and abdominal compression for mild to moderate back pain. Available with and without suspenders.